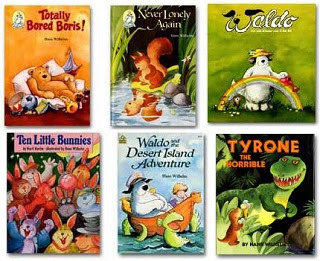 Free children's books that have become classics and children's favourites from around the world. You can print them out or use them on a Smartboard, PowerPoint or overhead projectors. You can watch and listen to them on your computer, iPad, Android or TV. There are book available in English, Afrikaans, Danish, Dutch, Finnish, French, German, Indonesian, Japanese, Norwegian, Spanish and Swedish. Make sure you click on all three pages listed in the left hand column - picture books, toddler books and Waldo humour books.